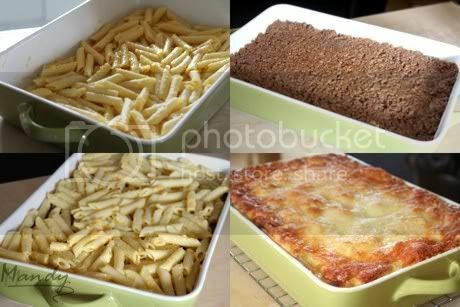 Pastitsio — What the Fruitcake?! 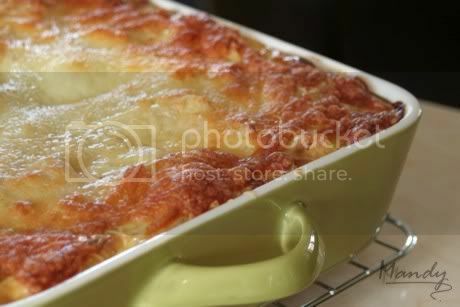 Like Moussaka, the mince in Pastitsio is seasoned with sweet spices like cinnamon, cloves, nutmeg etc. I like to make it slightly different to Moussaka so I use cinnamon & nutmeg rather than cinnamon and cloves, just a personal quirk ;) but then again, that's what cooking's all about, your personal preferences imprinting a unique taste to your dish. I know that I put amounts for spices etc in the recipes posted, but honestly, when baking I'll stick to the recipe, but when it comes to cooking I change things and go by feel, so I might say 1tsp of cinnamon, but in all honesty, I just throw it in until I'm happy with the flavour. 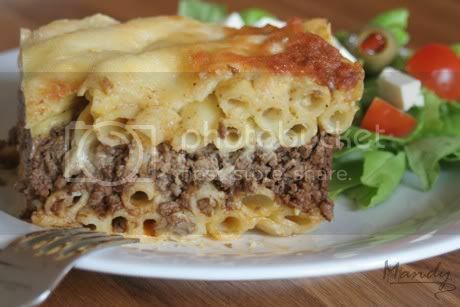 Basically, Pastitsio is a layer of cheesy macaroni, a layer of aromatic mince, another layer of cheese laced macaroni, then a layer of creamy cheese bechemal & topped off with (more!) grated cheese. It's not actually as cheese filled as it sounds, it has just enough for a fantastic flavour. 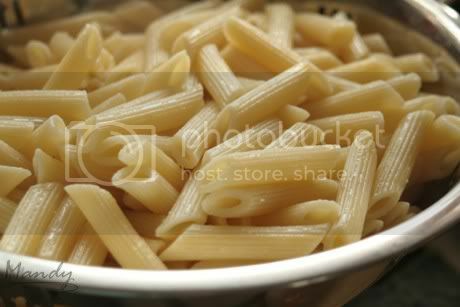 Give this dish a try, it won't dissapoint! 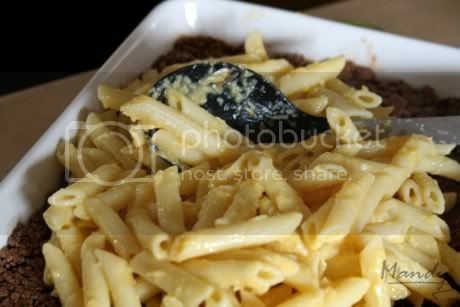 Posted on September 26, 2009 by Mandy Mortimer and filed under Greek, Savoury and tagged Bechamel Greek Macaroni Mince Pastitsio.